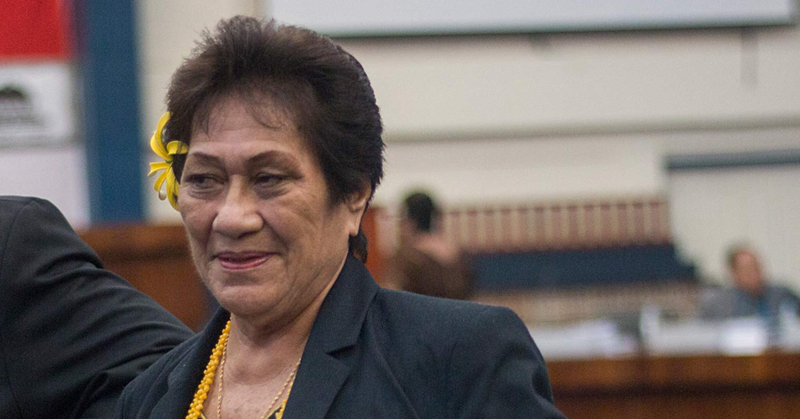 The Court of Appeal has ruled in favour of the former Director of the National Prosecution Office (N.P.O), Mauga Precious Chang. The ruling is in relation to a charge of negligent driving causing injury where Mauga was discharged without conviction. The Office of the Attorney General had appealed the decision, namely the charge of failing to stop and ascertain injury. The ruling was delivered by Justice Fisher, Justice Packhurst and Justice Hansen last Friday. 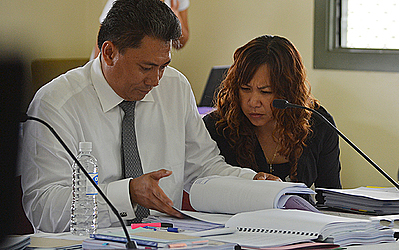 Mauga was represented by Aumua Ming Leung Wai while the Independent Prosecutor was Simativa Perese. Mauga faced three charges in the District Court consisting of negligent driving; alternative charge dangerous driving and failing to stop and ascertain injury. The District Court dismissed the charges, which were subsequently reversed in part by the Supreme Court following a prosecution appeal. 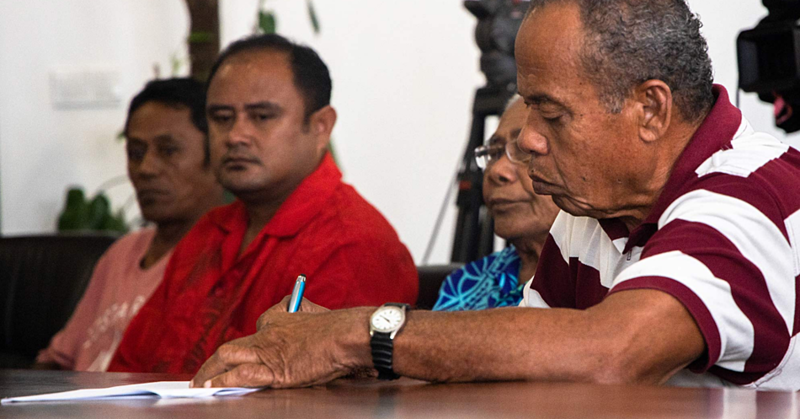 The Supreme Court convicted Mauga on the charge of negligent driving causing injury but dismissed the charge of failing to stop and ascertain injury. The District Court Judge did not find Mauga had not acted negligently and the Judge also found the bodily injury element in the offense was not proved. On the charge of failing to stop and ascertain the Judge concluded, that Mauga did what any reasonable person would in the circumstances that it cannot be the intention that she would delay taking those involved to the hospital, when there were other people around the vicinity who would inevitably make the inquiry. The Prosecution appealed on the principal charge of negligent driving causing injury the Supreme Court Judge differed from the District Court Judge on one factual detail the position of the Tucson at time of impact. The Supreme Court Judge said from evidence the one person as a result of the accident suffered injury which may not be visual but have nevertheless cause discomfort and intreated with her health because she took 1-2 weeks to recover. Supreme Court Judge concluded the negligent driving causing injury was established and the conviction was entered accordingly. The Judge however did not uphold the failing to stop and ascertain charge. According to the Appellate Justices, the crux of the Supreme Court judgement was the Judge’s conclusion that a reasonably prudent driver would not have tried to make right turn across two lanes of traffic without ensuring that the turn could be completed without replying on slowing down or evasive action on the part of the oncoming driver. According to the Appellate Court ruling they agree with the Supreme Court Judge whether there was negligence here does not turn on a dispute over the primary facts. Regarding the ground for discharge without conviction, the Appellate Justices points out that “largely know of the consequences already due to the lapse of time since the charges were criminally brought before the District Court. Appellate Justices also note that Aumua’s submission that Mauga’s career with the Attorney General’s Office and as Director of the Public Prosecutions has been destroyed by the prosecution and that it brought an end to her rise to a position as the youngest C.E.O. in Samoa by the age of 34. The Appellate Justices notes the consequences are to be compared to the gravity of the offense. “The accident was to moment’s inadvertence. “Without in any way condoning the error made, split second misjudgements of this are sort of error that many drivers may make. “In this case the appellant was unlucky enough to make that mistake when approaching a bus with defective breaks. “Instead of slowing or stopping, as an oncoming vehicle could normally be expected to do, the bus was unable to stop and ploughed into the side of the appellant’s car. “The appliance should never have created that possibility in the first place, but in terms of culpability this was the lowest end of the scale for this type of offense” and fortunately the injury to one of the person’s involved was of short duration. The Appellate Justices then concluded they are astride the consequences of a conviction would be out of all proportions to the gravity of the offense. 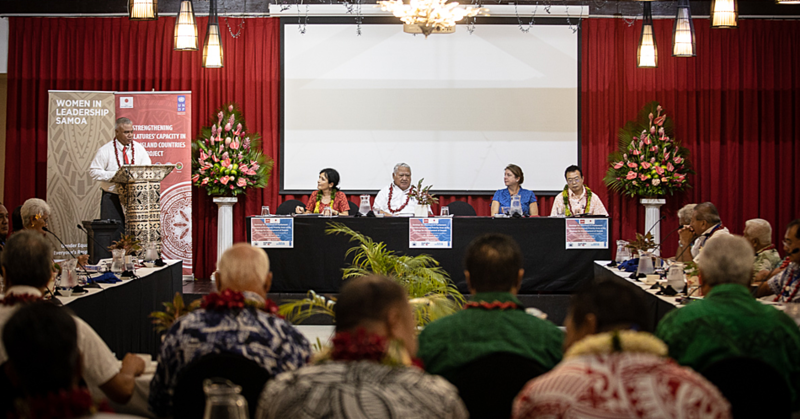 “We turn to the overriding discretion Aumua drew attention to the appellant’s good character, her work for charters and the outstanding constriction she made to the Samoan Community through her work as a civil servant. “Added to the factors already discussed we are satisfied that in this case there should be a discharge without conviction. “Let if the thought that a discharge will readily be granted for a conviction of this kind, we emphasize that this is very much an exceptional case. “It has nothing to do with the appellant’s profession or her former position as a civil servant. “It has to do with an unfortunate and unusual combination. “The combination is the moment’s inadvertence on the part of the appellant, the defective brakes on the other vehicle and the disproportionate consequences for the appellant and the confident will be rare indeed. “The appeal is allowed. On the charge of negligent driving causing injury the appellant is discharged without conviction.